Antique Radio Forums • View topic - HF DMM different readings? Post subject: HF DMM different readings? 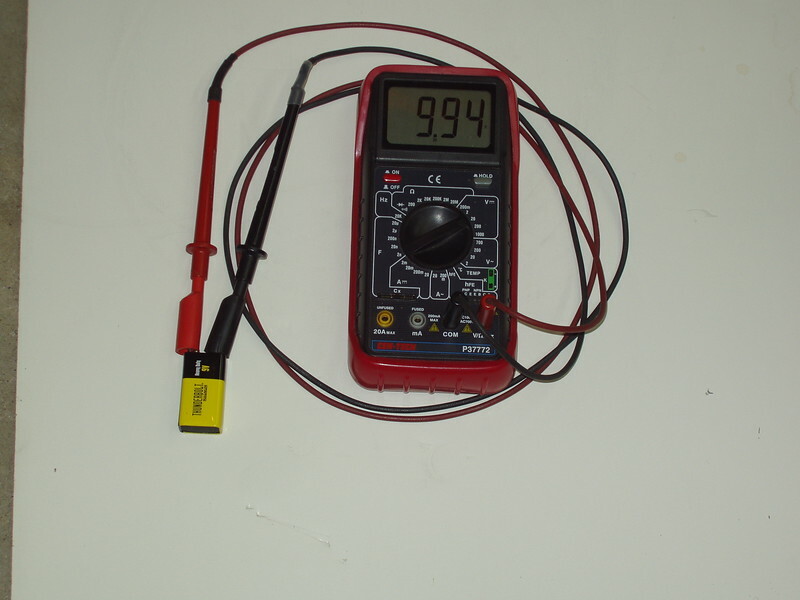 Checking a 9V battery on the 20VDC scale I get 9.54V, reverse the leads and I get 9.47V. Why? Post subject: Re: HF DMM different readings? You get readings that are within .07 volts of each other with a Harbor Freight meter? You are doing well.... my HF meters don't reproduce the same voltage with the same polarity twice in a row.... or agree with each other. 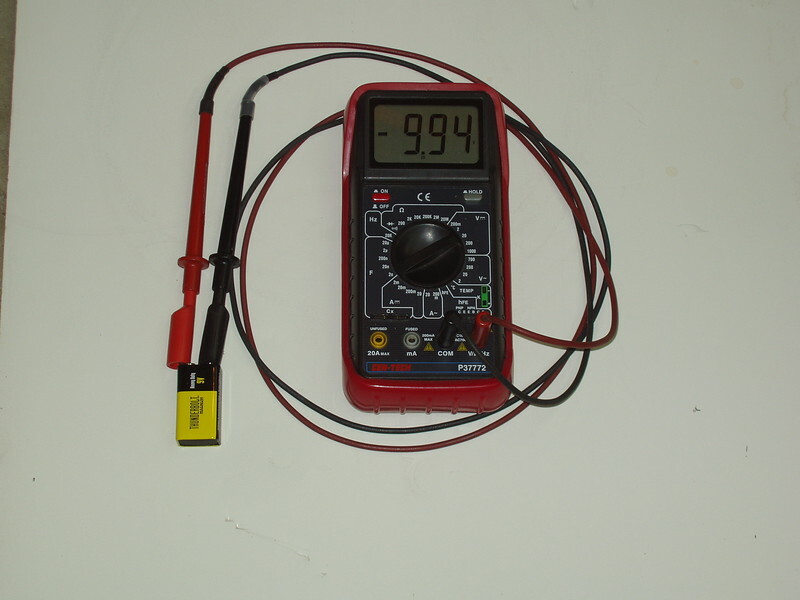 Not many applications require measuring voltages to within .1 volts. which meter are you using? Some asymmetry isn't surprising, especially for a low-end meter. Every part of the A/D circuitry would have to be free of offsets or compensate for them. The El Cheapos that are sometimes free are spec'd at 1% plus or minus a digit or two. Not too shabby considering that even VTVM's like the HP 410B were +/- 3% of full-scale. Speaking of VTVM's, I have a shelf full and it's a rare bird that reads + and - voltages exactly the same. For the record my $5 HF DMMs do the same thing. They do display a minus sign with flipped polarity; no autorange/polarity on these puppies. I always assumed some minor capacitance or diode effect at work. The "free" HF DMMs are great value for the money, and are usually remarkably accurate. Still, you should not expect too much. Do beware that the DC range selection voltage divider is only 1 megohm total, not the usual 10 meg. Seems to me that confirming an unknown voltage supply polarity with such a meter would be a significant liability. Some vintage auto radios don't like to be connected with the polarity reversed. Same for many other discrete devices. That kind of uncertainty is no bargain, regardless of the meter purchase price. They identify polarity by displaying a + or - sign. Now, if you switch the leads when you plug them into the meter, that could be a problem. I misread Mike's original post. Just think if you were the proud owner of an expensive Simpson 260 classic, you would not even be able to tell the difference if it had that error. I am spoiled by my Fluke and calibrated "lab grade" surplus bench tops. Maybe it is disturbing because the digital meters are "telling you" what look like well defined values, whereas the analog meter takes some judgment and interpretation. Going on technicalities of theory. If you have DC readings that differ on polarity reversal, there is the possible factor of corrosion, either in lead, connections, or design. Corrosion can act like a diode with voltage drop. Just a thought.